This short biopic is the self-narrated story in brief of the renowned American "underground comix" cartoonist best known for his graphic novel Maus (1986, 1991). To insiders or counterculture hipsters his work as co-editor on the comics magazines Arcade and Raw is important. Besides that he spent a decade as contributing artist for The New Yorker starting in 1992, where he made several high-profile and sometimes controversial covers. He is married to the French-born artist, designer and editor and longtime collaborator Françoise Mouly, who has also incidentally been the art director of The New Yorker since 1993. Spiegelman talks to the camera. His wife talks to the camera too, more briefly, speaking in French though when she says an English word or name her accent is perfect. Spiegelman's Maus, which took 13 years to complete, is a graphic novel based on conversations with his father, a Polish Holocaust survivor. Art was born in Sweden, and then they came to the US. Maus depicts the Holocaust experience metaphorically, through animals. The Jews are mice. The ethnic Poles are pigs. The Nazis are cats. This got Spiegelman a Pulitzer. But it seems to have been a hard act for him to follow; he had a dry period after its success, suffered even from that success. September 11, which the Spiegemans experienced directly (one of their children was at a school nearby) fed him creatively: he says that trauma inspires him. Spiegelman is a quick intellect who knows his own mind and speaks articulately, exuding intelligence and joie de vivre. This film is a pleasure to watch. They live somewhere in Soho in NYC, and the views of the old urban landscape are beautiful. Gives a feeling of what fun it would have been to live in lower Manhattan in the good old days and do well enough to survive there comfortably even today (if you can find a grocery store among the Prada and Ralph Lauren stores). This is by the prolific French team of short documentary filmmakers of Clara Kuperberg and Joelle Oosterlinck, which explains Françoise Mouly's addressing the camera in French. The many shots of Spiegelman and his family in and around their SoHo digs in Lower Manhattan bespeak a convivial, arguably enviable, life at the center of East Coast literary-artistic culture, and however much Art may need suffering and trauma as his inspirations, his narration and demeanor suggest a happy and articulate man. Length: 40 mins. 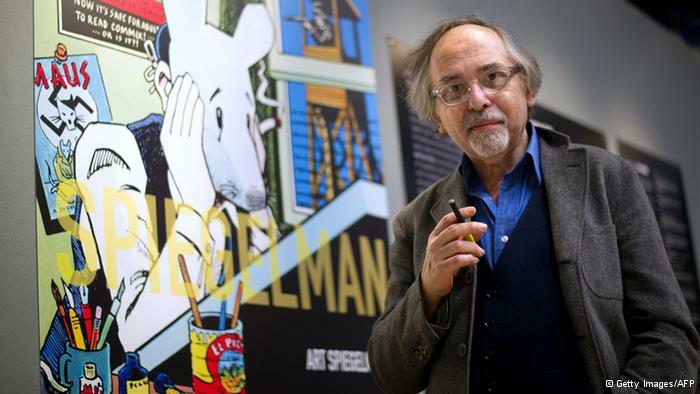 Original title: Art Spiegelman, Traits de mémoire, shown on French TV 2012; debut in the New York Jewish Film Festival in January 2013. Gaza and the West Bank are used as testing grounds for new weaponry by arms manufacturers, dealers, and exporters, and if you don't believe that, you need to watch this documentary. This is one of those films where people proudly talk about activities they may be unaware the viewers will find horrific and disgusting. Like the makers of recent films about Israeli judges ( Ra'anan Alexandrowicz,'s The Law in These Parts) and Israeli security/intelligence (Dror Moreh's The Gatekeepers), Yotam Feldman provides an exposé of truths about Israel in which, beginning as an investigative reporter, he has gained unusual access to the powerful people he studies, and with detachment and sometimes humor or irony presents a deeply revealing picture. By the way, Israel is the fourth largest weapons manufacturer and exporter in the world, so that makes this a doubly important study. Feldman's message is that the Israeli economy (public and private) has become highly dependent on the country's massive and flourishing "security" market. Reps of other governments are hypocritical, some Israeli spokesmen point out, when they knowingly purchase Israeli arms tested out in use against Palestinians, and yet go on to criticize Israeli violence. 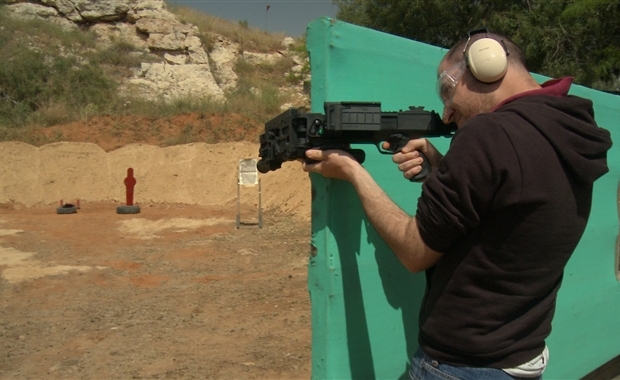 One thing that is especially chilling is that foreign visiting potential purchasers are most interested in the testing of the Israeli weapons, including new ones like a gun that shoots around corners, which are used, often, on Palestinians, or on their land; above all, for urban warfare. And the industry directly feeds off the Israeli military. Retired officers become arms dealers; the minister of defense becomes the minister of industry. Feldman says everyone remarks on the Israeli economic miracle, "growth and prosperity despite military confrontations. But maybe it's not despite them, it's because of them." Israeli arms dealers, military men, and "defense consultants" point out the hypocrisy of people in other countries who criticize the Israelis for their brutality in assaults like Operation Cast Lead, the battering of Gaza in which 11 Israelis died and 1,200 Palestinians -- a lab for Israeli weaponry -- but then come to Israel to profit from the experience and the "testing." Since the world's military get orientation and arms arms from Israel, Israeli influence will lead and is leading to reproducing similar Palestines in many other countries, Feldman suggests. He accompanies the big, jovial, magnanimous and grandfatherly (and military man) Leo Gleser on a business trip to Brazil, one of the Israel defense industry's biggest clients, and finds that the inhabitants of the drug-dealer-dominated Rio favelas are indeed the Brazilians' Palestinians. In recent years the Brazilian police took over the Rio slums, using Israeli-style military methods and Israeli weapons. They even nicknamed one Rio slum district they took over from the drug dealers "the Gaza strip." Like The Law in These Parts and The Gatekeepers, The Lab also is essential viewing for the information it provides about Israel. Length: 57 mins. Original title: Hamaabada . Israel/Franch/Belgium production, in Hebrew. Debuted 24 April 2013	at the Visions du Réel Film Festival. Released in Israel, reportedly destined for release in other countries.